These photographs are all from the Historical Masquerade at Masque 6. 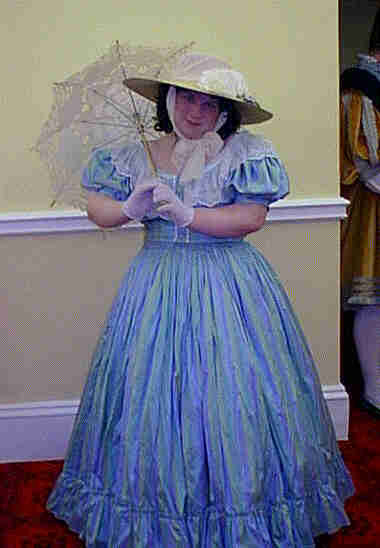 DJ Bass as Miss Mint Julip, a Southern Belle. 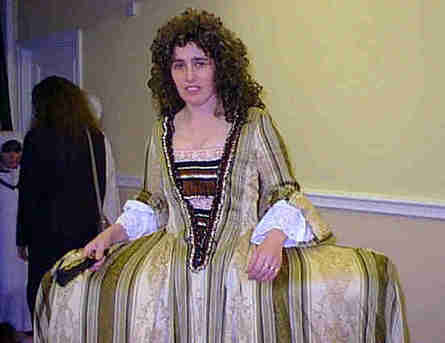 Mikki Dennis modelling the latest in wearable sofas. Surely not our Chiefy! 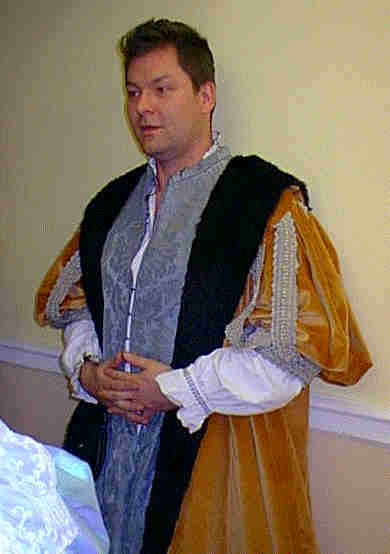 Simon Fairborn in a rather more splendid mediaeval outfit than we are used to. The superb blackwork on Penny Hill's mediaeval nightgown that won her Best in Show. 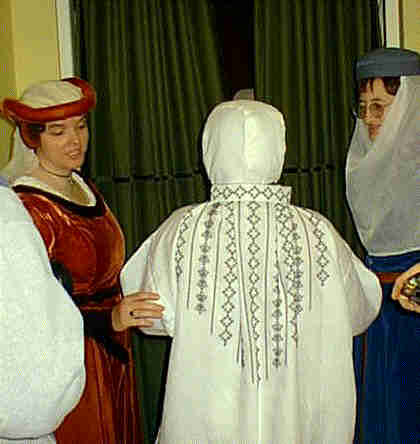 To the left Claire Goodall exchanges her usual tech crew black for a splendid mediaeval gown which won her Best Novice.